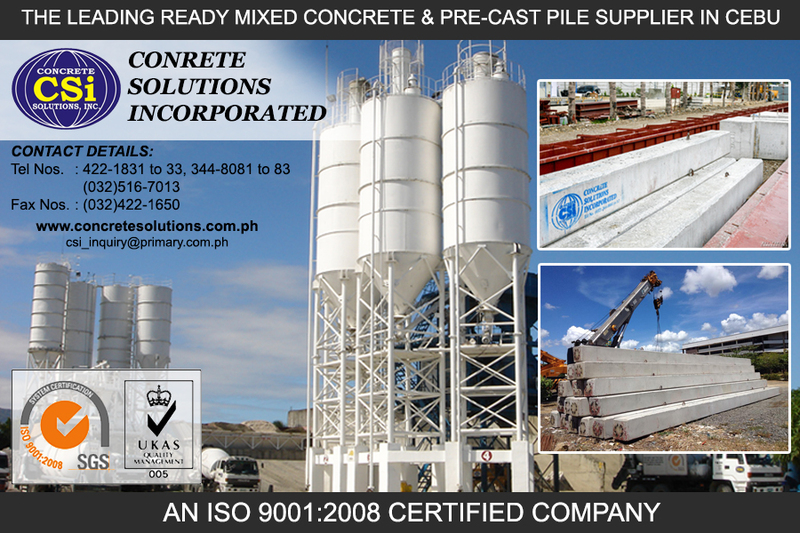 Concrete Solutions, Inc. (CSI) is one of the most dynamic companies in Cebu today. With office located inside CSI Plant in Canduman, Mandaue City, we conduct business not just in Cebu but through out the central and southern Philippines. CSI is engaged in Ready Mixed Concrete manufacturing, Shipping and Lighterage, Aggregates production, Flatworks services, Heavy Equipment rentals and Precast concrete production. This is the philosophy that guides Concrete Solutions, Inc. (CSI) in its commitment not just in unlocking the full potential of our products, but also by providing our clients with the most comprehensive solution today. The limelight beamed at CSI is a manifestation of a sound system. One that recognizes the interdependence and synergy of all departments and business divisions. Above all, the competence and acumen of its employees who are considered to be the company’s most important resources.